“No one would have nice day,” I answered. It wasn’t what he was looking for, but I’m not good with infinity. I can find the ends of it to wrap my brain around, and that’s disturbing. Buster thinks these type of thoughts a lot. I don’t know if this means he’s destined to become a great philosopher, an accomplished astronomer, or the next Rain Man. It’s good to indulge in deep thought once in a while, but I’m not sure forever thinking about infinity will end well, or at all. I can identify with that. It happens to me all the time at work. Still, he has to go to school and I have to go to work so we don’t both end up in an infinite loop of poverty. 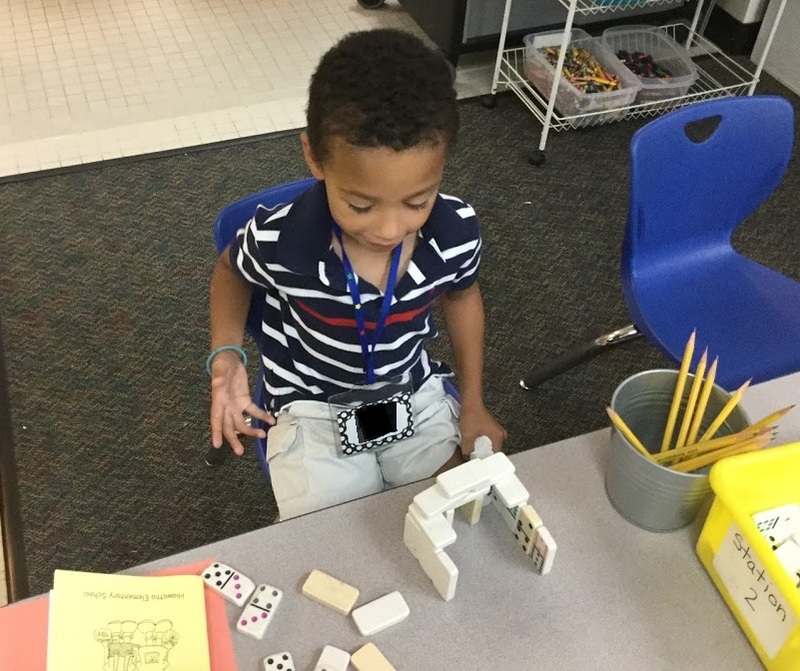 They make you build things out of dominoes in Kindergarten? I had no idea it was that horrible. The thing to know about these deep thinking philosophers who don’t always want to go to Kindergarten is they can be moody. The moodiness strikes hardest in the morning when it’s time to get ready for school. This morning, the disgruntled whimpering started early. I explained that everybody had to get up and asked him if he were cold. Mommy put on his jacket and we sent him to school. The desire to climb into bed with us, I understand. It’s his favorite Saturday morning ritual. Making a fire is another story. We haven’t thought about our fireplace since last March and we’ve never built a fire before school. It’s a good thing he told me the problem instead of giving me the “If you loved me, you’d know,” grunt. My love for him is infinite, but maybe that proves there’s a limit to infinity, because I still would not have loved him enough to know I was supposed to build a cozy fire on a random weekday before school. It looks like I may have to crank the love up beyond infinity to understand him. I hope infinity + 1 is enough, because that’s the largest number I know. This entry was posted in Little Weirdos and tagged boys, children, Dads, Education, Elementary school, family, fatherhood, humor, Kindergarten, parenting. I wonder if the philosopher/artists is always the middle child. I think I’ll make the boys paint their own rooms. There must be an infinite number of kinds of infinity. There are also an infinite number of ways to delay bedtime. You are infinitely right about that! Well, you can’t blame Buster for throwing out the idea of a fire. I like the way that kid thinks. Most often he thinks like a kid who has a butler instead of a mere father who is late for work. These big numbers are hurting my brain. I’ll just stick to building fires. Build a fire first, then have a Scotch. The numbers aren’t so painful after a Scotch. Buster is always testing me. That’s why living with he and his brothers is like being on Survivor every day. Tribunal Counsels are the worst! I always enjoy reading your posts. Buster doesn’t know what a lucky boy he is! Thank you. I always like to visit your blog as well. I’ve always been into history, but have never learned much about the history of restaurants before.